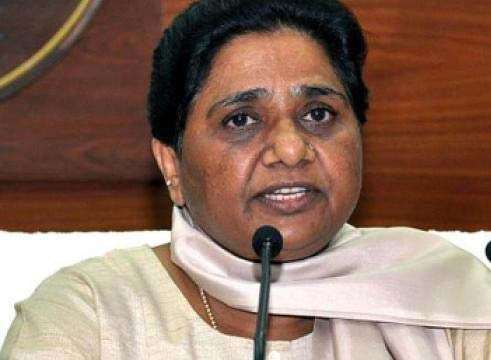 After the mining case that had links to former Uttar Pradesh CM Akhilesh Yadav, the Enforcement Directorate (ED) Thursday conducted searches in connection with alleged irregularities of over Rs 111 crore in construction of memorials in the state during BSP supremo Mayawati’s tenure. Officials said the central probe agency has filed a criminal case under the Prevention of Money Laundering Act (PMLA) to investigate these instances after taking cognisance of a state vigilance department complaint of 2014. The raids are being conducted at seven places and those include premises of some officials and other private people, they said. The vigilance complaint was filed under various sections of the IPC and the Prevention of Corruption Act and it pertained to alleged financial irregularities in the construction of memorials, including statues of BSP founder Kanshi Ram and the party’s poll symbol ‘elephant’, during the regime of former Chief Minister Mayawati, between 2007 and 2012. It was alleged that the said act “resulted in the loss of over Rs 111,44,35,066 to the government exchequer and unlawful gain to public servants and private individuals”. The state government headed by Mayawati had built the memorials, statues and parks at a cost of over Rs 2,600 crore in Lucknow, Noida and few other places in the state. The UP Lokayukta had earlier indicted Mayawati’s two cabinet colleagues — Nasmeedunin Siddiqui and Babu Singh Kushwaha, besides 12 BSP MLAs and several others for alleged ‘wrong-doings’ in the purchase of sandstone for the memorials. On the Lokayukta’s report, the vigilance department FIR was been lodged against them in 2014. The other persons against whom the case was registered include more than 100 engineers and officers of the UP Rajkiya Nirman Nigam, Public Works Department and New Okhla Industrial Development Authority (NOIDA). Earlier this month, the agency had raided several locations in a money laundering case, booked to probe illegal mining in the state and this case has links to former Chief Minister Akhilesh Yadav. Yadav and Mayawati have recently forged an alliance to contest the upcoming Lok Sabha polls.